March’s Family Stories symposium attracted over 240 people to the Wilks Conference center, including those shown here! Photo courtesy of Jack Armstrong. Folks: with so many 1913 Flood Centennial events in Hamilton this spring, it’s a challenge to attend every one! With this in mind, the Colligan Project’s online video page archives recordings of talks and events, so you can watch them for the first time or any time. 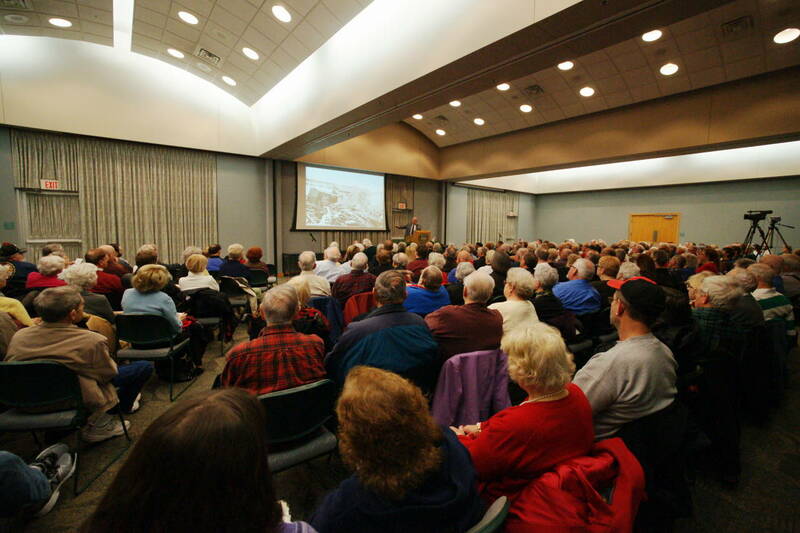 Our latest addition is “The Dam Lie That Saved Lives: Hamilton Family Stories of the 1913 Flood,” recorded March 26 at the Wilks Conference Center. Featuring indefatigable local historian Jim Blount, this unique event also showcases a number of remarkable family flood stories retold by Hamiltonians of today.